It's that time of the year... the Football Blogging Awards are upon us again! We were fortunate enough to make the shortlist in 2013 for the "Best FPL Blog". To put things into perspective, we were up against the juggernauts of FPL and had a lot of fun at the awards in Manchester. We know that we have no chance of winning the awards, but it would be fantastic to make the cut and be nominated again. Why should you vote for FPLH? Our blog had its 3rd birthday this week. Since our inception, the blog has accrued thousands of Twitter followers, over ONE MILLION blog hits and our dedicated FPL Blog Team has finished 110th in the world. Come rain or shine, holiday or busy day, I have posted my weekly first XI up for over 1,000 days without fail. This has been at my behest, as it has required me to make early transfers, when I could have easily made changes to my team on Saturday morning to my benefit. All this adds up to our quality - We have finished in the Top 1.1% of FPL since 2011/2012. This isn't about "one man and his blog". Over the years we have had numerous guest writers and in-house writers. Each with their own pedigree, persona and previews. From "Called It" to "Marco's Maverick", we have given a platform to talented FPL writers who in turn have enlightened us all with their insight. We believe that everyone should benefit in having a good FPL team and be top of their mini-leagues. Finally, we don't write for our own self-benefit; we do it for fun and to help fellow FPL managers. VOTE FPL HINTS as the "Best FPL Blog 2014"
Chief @FPLHints & my fellow FPLH writers. Someone with low ownership who is hiding in the lower reaches of the FPL transfer pages where only the brave dare tread. I’m sure most weeks I’ll be sat gazing at the laptop screen with egg on my face but we all dream of that top corner finish from the most likely of sources. Let’s start with an absolute corker and one of the lowest owned players in the game with ownership of just 0.1% at the time of writing and ready to hit the big time. It’s Southampton’s Sadio Mane. The Saints mid currently priced at 6.9m after 1469 of the 3600 original takers for Mane ditched him at the first attempt after his no shows against Newcastle and Swansea. Since then Mane played his part in the demolition of Arsenal in the Carling cup at the Emirates winning the penalty with his lightning quick feet that Rosicky just couldn’t handle. QPR next up for the saints who are leaking goals like a second hand sieve, the Southampton front line could fill their boots with points and heap even more pressure on big spending Rangers. Looking at Mane’s career path at just 22 he’s been playing first team football for three years. 22 appearances at Fc Metz in France yielded just 2 goals but it’s his time at Fc Red Bull Salzburg where Mane flourished. In his next two seasons and 63 appearances later he amassed a quite impressive 31 goals nearly a ratio of 1 in 2. Those performances alerted the premier league and with Southampton decided as his next destination with an 11.8m transfer agreed. In the close season all eyes were on Tadic and more recently Pelle. Tadic may have spot kicks to himself but 0.6m more expensive may force managers to look elsewhere for Saints coverage. Pelle is currently the saints man to have but with the striking spots at a premium and Ulloa also looking great value for money in the third striing spot the ultimate differential Mane could catapult any manager wishing to take a gamble up the FPL pyramid in this all important opening few weeks. Lampard has scored over 200 career goals. Lampard is one of only two central midfielders to score 20+ goals in an EPL season. Lampard has scored 3 goals in his last two competitive matches for Manchester City. Oh man, here we go again. It's time for FlyBuy. I'm beginning to dread this time of the week. If @PatheticoMorbid hadn't already trademarked #TheCurse, that's what I'd seriously be considering renaming this feature! Another spectacular fail for last week's pick - Yaya Toure - although he did decide to kick me in the slats by scoring a penalty in the League Cup the other night. Grrr!! I've decided, for this week, to spare little or no time analysing form or fixtures and just go with my gut. I guess you can argue that careful analysis has failed miserably, so what have I got to lose? I know that many of his owners will have dumped this week's pick over the last few days, but I believe this will prove to be premature. Act in haste, repent in leisure. This guy is the real deal. OK, he hasn't proved it (yet) this season with a measly return of just 8 points in 5 games which includes no goals and only one assist. And he's a striker. It should have been 11 points, but he rather stupidly got himself sent off last week. This is the reason why I think why over 21,000 FPL managers have transferred him out over this past week, assuming he would serve a ban for GW6. Not so. The ban was served during his team's League Cup game mid-week, so he is good to go on Saturday. Away at already-relegation-fodder Sunderland. It is, of course, Wilfried Bony. Yours for only £8.3m and a stunning potential differential with an ownership stat of just 4.8%. He's proven, and he will start to accumulate points in a Swansea side that started well with 3 consecutive victories, but have stuttered recently with back-to-back defeats. They will see Sunderland as a chance to get back to winning ways, and over the next few Gameweeks I predict it will be Bony that makes that happen. 5 - Five of Coleman's last Premier League 7 goals have been scored at home. Coleman was the highest scoring full back in the Premier League last season (2013/14). Coleman is expensive and 2 of Everton's next 3 Premier league matches are away from home against teams that finished in the top 7 last season (Liverpool & Manchester United). Despite having scored two own goals against Southampton (2-0) and Chelsea (3-6) this and last season respectively, Coleman has been involved in (scored/assisted) in 2 goals as well as picking up a clean sheet against West Brom (0-2) in the Premier League this season. From GW 8 to GW 12 Everton face last season's bottom 10/newly promoted teams. Coleman is expensive and 2 of Everton's next 3 Premier league matches are away from home against teams that finished in the top 7 last season (Liverpool & Manchester United) but may well be worth considering in the long run given his exciting, attacking prowess as well as being able to deliver the goods at both ends of the pitch. It's time to admit it - I am having a total DISASTER with my FlyBuy picks this season! In fact, rather than take my advice and draft one of my picks in, do the opposite; if you already own him, SELL IMMEDIATELY! Aaarrgghh!! Another flop last week, my pick of Marko Arnautovic of Stoke didn't get the recall I predicted and missed out. Meanwhile, the other guy on my shortlist last week, Tadic, picked up 6 points for an assist and a clean sheet. Nuts. I'm afraid to say I may have lost my touch somewhat. So what to do? Call it a day? Nope. Not my style. Instead I will plough on. The worm MUST turn soon, right? This week, I am going to tip a guy who - like me - has lost his way somewhat. A former shining light who is struggling to recapture previous form. Another year older, but not necessarily wiser. Someone who - like me - can be prone to sulking if things don't go his way. Not in a Nicholas Anelka type way, but you get my meaning. Yep, despite tough opposition in the form of Chelsea, I am going for a Man City player for this week's FlyBuy pick. A return to form is surely imminent, although I admit, he looked really poor against Bayern Munich the other night. But this could be the fixture to finally spark him to life. It is, of course, last season's FPL points magnet (and my DGW31 nemesis! ), Yaya Toure. His price tag is hefty (£10.8m), he got dropped in GW4 for the trip to Arsenal, his form is cruddy (no goals, no assists, no bonus, 2 yellow cards in 3 games) BUT, if he turns it on, he has the potential to go mad. I know he won't be on penalties now Aguero is back and I realise his role in the team has fundamentally changed from last season. But I think he'll manage to score some good points in the next 5 weeks (the criteria I use to select FlyBuy's from). He still has an ownership stat of 10.6%, although I suspect there's a lot of ghostships amongst that. The technically gifted Frenchman was a surprise capture from Steve Bruce on transfer deadline day. His loan move from Newcastle United appears to be really astute business by Hull City and the move could also be a beneficial one for FPL managers this season. PLEASE NOTE THAT BEN AFRA IS NOT AVAILABLE FOR GAMEWEEK 5 DUE TO THE FACT HE CANNOT PLAY AGAINST HIS CURRENT PARENT CLUB AS HE IS ON LOAN FROM THERE. After some time spent looking at upcoming fixtures I am drawn to three teams in particular. Everton, Southampton and Stoke. GW 6 and 7 look particularly tricky for the Toffees, and the unfortunate injury to Pienaar puts me off selecting from their ranks at this time. For what it's worth though, I think Leighton Baines could finally go on a scoring run starting this weekend. But he isn't my FlyBuy pick. That narrows it down to Stoke or Southampton. I've found myself having a bit of a tough time selecting, after narrowing it down to two candidates. Both were in many FPL managers initial pre-season drafts, but both have failed to convince and have been dumped. The Southampton player I considered was new-boy Dusan Tadic. We were assured he was some kind of assists magnet, and got on board early. He did indeed provide an assist in GW1, but aside from appearance points (plus one extra point for a clean sheet in GW2) nothing since. He would be the safer option for this week's FlyBuy selection; guaranteed 90 minutes and in a Southampton side that in no way deserve their pre-season billing as relegation certainties following the mass exodus of players to Anfield. But I don't play it safe often as you know. Which leads us on to Stoke. And a player who, as with Tadic, was thought to be pre-season a good source of FPL points. So far he has delivered the sum total of nothing but appearance points, and was even dropped in GW3 for the away game at Man City. To everyone's surprise, Stoke managed to win this game, and so why would Mark Hughes change a winning formula? Quite simple, he needs his most creative player back. He saw him as an unnecessary luxury for the game at the Etihad, and he was the sacrificial lamb. But off the back of that stunning victory, Stoke will be quite rightly full of confidence and belief. There run of games sees them face Leicester at home in GW4, followed by QPR away, then Newcastle at home. I can honestly see 9 points there. And I can see a decent return points from this weeks FlyBuy selection, Marko Arnautovic. Yours to own for the knock down price of only £6.3m. And with only 1.3% ownership now most have dumped him, now is the time to snap him up as your midfield differential. Most of you now own Gylfi Sigurdsson. I'll make a 10p bet with you now, that Arnautovic outscores him (total FPL points) over the course of the next 3 gameweeks. Any takers? 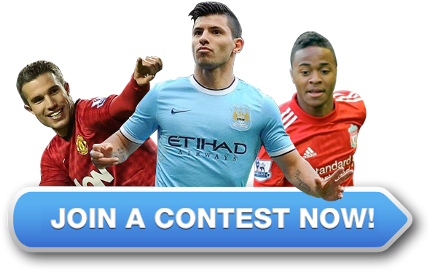 Ever wonder if you can earn a living playing Fantasy Premier League? 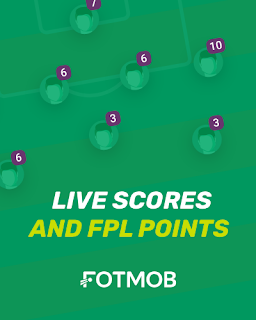 What if you could earn some cash this coming gameweek? I’m using the word “earn” because fantasy football is very much a game of skill and effort (unlike what outsiders think). FanXT is now offering a “fast and furious” fantasy football that lets you form an EPL fantasy team each gameweek and earn cash instantly. In general, it’s one gameweek fantasy game with cash to earn. 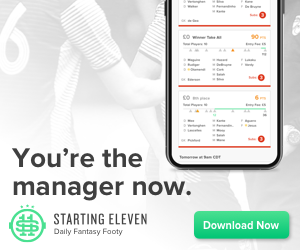 You don’t have to stick with the whole season, users can opt to join the variety of contests that run for the duration of the gameweek so users start fresh every gameweek. Users can earn cash prizes immediately after the end of the game week – eliminating the wait for an entire season to be over to cash out. This so-called daily fantasy sport is experiencing massive growth in the U.S with NFL, NBA and MLB, led by two major companies - FanDuel and DraftKings, who recently acquired DraftStreet. So, daily/weekly fantasy sport is destined to enter the fantasy soccer market with FanXT spearheading the way. To start playing the game, you need to create an account, but you can also use your Facebook account to login. There are two different kinds of contests and one of them is free and the other is paid. A free contest allows one to play games for free with cash prizes. These contests are meant to help you test your skills in the paid contests. FanXT offers paid contests with USD2, USD5 or USD10 entry fees. You have to deposit money to pay in order to participate in the paid contests but you get to be rewarded with cash earnings each gameweek. Making a deposit via PayPal, credit card or Skrill is possible when you’re logged-in. FanXT ensures that players’ money is well protected and thus players need not panic that they may lose their money. You may choose to withdraw your deposit anytime via PayPal, wire transfer, check or bank transfer. Withdrawals are processed within 24 hours. Some withdrawal methods can incur some charges on your part. Once the last match of the EPL for a particular gameweek is over, your earnings will be credited into your account. As of now, the contests are restricted to the English Premier League. However, other sports and football leagues may be incorporated in the near future. So start playing Weekly Fantasy Premier League, you may just get some cash this coming gameweek! A great striker who has the ability to transform the striking force of the club. Composed in front of the goal and brilliant finisher. Fast paced and able to partner well with midfielders. The player has good ball control and ability to create opportunities to score. Brilliant skills that enables him to create chances and score. Strong and able to penetrate opponents defence regularly and keeping opposing defences under pressure throughout the game. A strong pillar in team's striking force. The Scottish national has continued to score crucial goals that has made Everton a strong contender to premier league title. Ability to create scoring chances. Strong aerial attacks and duels and scoring often with a header. An all round player with great tackles and winning most of the tackles. Brilliant strikes and composure in front of the goal. Great dribbling skills and a tough customer to opponents defence. He is strong, fast and powerful with the ball. A forward with ability to switch roles from a striker to winger and attacking midfielder with ease. Ability to hold on to the ball and creating scoring chances. Good passing and clinical long shots that often get goalkeepers off guard. Brilliant ball dribbling. Great physical structure that make him able to win balls and create scoring chances. A composed team player who relates well with team mates and rivals alike. A young talent at the heart of WBA's attacking force. Has excellent finishing skills that enables him score spectacular goals. A regular feature in many of his team’s games. Lethal with free kicks and dead ball situations. A great dribbler who is able to hold on the ball and create opportunities. A composed player whose who relates well with team mates and respects opponents. Disciplined and commits minimum fouls during games. With the Premier League 2014/15 season now well on its way the excitement seems to be coming back into many of our lives. Although we have had an extra dose of football this year with the World Cup in Brazil having offered some memorable matches with goals in abundance, club football still rules supreme for most part of the year and it comes as no surprise that people are waiting for the International break to get over as soon as possible so that they get to watch their favourite Premier League stars in action again. A lot of the managers cannot wait to see how their Fantasy Premier League team performs in Gameweek 4. Speaking of players, it is necessary to know which players have been the best lately and who should you pick in your current team based on current form. So let us see who the best 5 midfielders have been this season so far after three games in the season. The Welsh international seems to be carrying off from where he left last season adding to the tally of the 8 goals he scored in the Premier League to be regarded as on the same level as City anchorman Yaya Toure. His exploits at the FA cup final where he scored a goal to end Arsenal’s wait for silverware seems to have inspired the lad and instilled a belief that he can carry the team on his shoulders. Having scored two goals already this season and with six gal scoring chances created, the 23 year old Welsh player is in good form and looking to kick on and have a stellar season for Arsenal. The Belgian international did not have a particularly good season last term but is surely in the mood this time around. The player has been given the chance in the starting XI by manager Mauricio Pochettino ahead of Townsend and Lennon. Chadli has done his bit to justify the faith of his manager by scoring two goals already and playing a major role in Tottenham’s brilliant performance against QPR. Spurs would want their player to carry on this vein of form as they look to gain a spot in the top four this season. On current form Chadli looks good to be helping them in their pursuit for Champions League football. Regarded by many as the best English player in the Premier League currently, the Liverpool teenager is living up to the hype that has been created around him. Having scored against Southampton on opening day, Sterling played as a number 10 at the tip of the diamond against Spurs at White Hart Lane and tore them apart scoring the opener for the Anfield side. The teenager has immense potential and is certainly one of the bright sparks in the Premier League right now. Southampton have had a mass exodus this summer yet the club still seem to posses some quality players like Schneiderlin. The player who was widely linked with spurs in the summer has chosen to stay with the Saints and looks to be in great form having scored two goals and created three chances from midfield this season so far. If he keeps going at the same rate, expect the big clubs to come knocking in January. Nathan Dyer of Swansea seems to be having a great time on the pitch scoring goals from midfield and bossing the game just like he did against West Brom. Already with three goals in three matches, the diminutive midfielder is just what the Swansea team needed to kick start their season. With three goal scoring chances created and a high percentage of passes completed, Dyer is certainly the best Midfielder based on the three games played so far and deserves the top spot. We had the fantastic privilege of interviewing the reigning Fantasy Premier League champion, Tom Fenley. The interview is shown below. Enjoy! Chief: So Tom, how does it feel to be the reigning champion of FPL? Tom: It's still unbelievable, I can't get my head around how many people play it. I know they are not all active by the end but plenty take the game seriously so I'm very honoured to have triumphed. It's strange not to be up near the top anymore, though it's a relief not to have the pressure that goes with that but still be the reigning champion! Chief: Were you fortunate in picking a good captain on a regular basis? Tom: Yes, as my unimaginative team name suggested, captaining Suarez for all those hauls was decisive. It's an integral part to the game so it's important to have a few captaincy options and a bit of luck when choosing who get's the armband. This season it will be much harder to get this right unless a standout candidate emerges, like Suarez last year. Chief: Did you believe in having a "differential" for each position? Tom: Not really, I avoided differentials as much as possible, it's about finding the best player to fit your squad, who is also going to be reasonably reliable. It's crucial to cover high ownership players, so unfortunately although it's exciting to have differentials, it's not very sensible when you're at the top to be taking risks. Chief: To what extent did upcoming fixtures influence your team selection? Tom: I always look at fixtures before bringing a player in. There is usually, after while, a small pool of established players who are on such good form that fixtures are less important. Otherwise if a player isn't on form, they need to have some convincing upcoming fixtures to be considered. Chief: Were transfers primarily made on gut instinct or by statistical analysis? Tom: It's a bit of both. I don't think it's an effective strategy just to rely on statistics, there are so many different ways to process and analyse them. However, if you use statistics to check the players that you have a gut feeling will do well, then stats can be a decisive indicator of whether your instinct was wide of the mark or not. Chief: Did it often pay off to make more than one transfer per Gameweek? Tom: Yes it did, I made 48 transfers so took quite a few points hit, especially early in the season where it can help with increasing team value as well. It also gives you more flexibility on who you can bring in if you use two transfers, enabling you to shift money around the squad more effectively. I was incredibly lucky and almost all the points hits I took paid off. Chief: When did you use your wildcards and did they work out for you? Tom: I used my free wildcard in GW30. I wanted to use it closer to a double game week but unfortunately had too many injuries and was worried I would fall away from the top if I held on to it. Similarly, I played the January one earlier than I had hoped as I had injuries. This does reflect why it's practical to retain it as long as possible though, to respond to difficult situations beyond your control. Chief: How successful were you in the "Double Gameweeks"? Tom: I did quite well, above average, but nothing spectacular. Double game-weeks can be quite deceiving and make you too narrow-minded and focussed on that one massive gameweek score. The weeks before and after are just as important. Plan a steady build up before with one eye on the double and the other on the gameweeks around it. Chief: Did you have a "bogey" team or player that you tended to avoid? Tom: I don't think I had a Newcastle or Aston Villa player all season, they are too unpredictable. I didn't own John Terry either. Chief: Dare I say it, any regrets from last season? Tom: There were plenty of decisions I made that were wrong. I'm pretty amazed about the amount of mistakes you can make and still win, I think it shows people shouldn't give up after a bad gameweek, it's a predictions game based on a relatively unpredictable sport so everything can change over a week or two. Chief: Do you think FPL managers should factor in the new bonus points scoring criteria before making their Gameweek transfers? Tom: It should be something in the back of your mind but I wouldn't consider it too much, especially at this point in the season when the distribution of the bonus points is still a little unclear. It's still not obvious if it favours centre-backs or full-backs for example and it may be that they've found a better balance. Essentially bonus points are given when someone has played well, these are the players you should be aiming to have anyway. It should be a factor but this early not a decisive one, look to players form and upcoming fixtures first. Chief: What are your FPL aims for the upcoming season? Tom: No aims really, Matt Martyniak did so well last season defending his title, top 1000 I think. That's incredible form! I would be very happy with a top 10,000 finish, though will probably end up nowhere. Chief: Tom, thank you for your time today and all the best in defending your title! On a final note, feel free to follow Tom on Twitter and congratulate him accordingly!